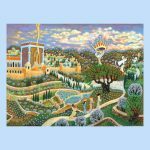 There are three categories of tikunim, says the Leshem, and every person has some portion of each on their cosmic to-do list[i]. The first category are tikunim that only happen when we do the right thing. We keep taking the test until we get it right. This is what we generally think of as a tikun. The second category is more mysterious. These tikunim only happen when we do the wrong thing, suffer the consequences for it, and (eventually) find our way back to the light. The third category can happen either through (1) or (2) and it all depends upon our choices. The more we strive for integrity, the wiser our decisions will be, and the more our tikunim will happen like category (1). Conversely, the more reckless our choices the more time we’ll spend in category (2). Anything that exists in the universe with no exceptions must be here by HaShem’s design. And in that case, it must serve some productive purpose for, otherwise, why would the Almighty insist upon it. King Shlomo asserts (and all agree) that every human being disobeys their Creator (at least at some point and perhaps only rarely). What positive purpose could that possibly serve? It seems, says R. Tsadok, that there is something about the humbling consequences of sin—the shame it brings and the choices we make to relieve our angst—that breaks us in a way that also deepens us (if we accept our guilt and seek to repent). He brings Aaron as a prototype. Aaron’s shameful sin—that he participated in the Golden Calf—should have disqualified him from the priesthood. After all, the halacha is that a kohen who worships an idol can never again function as a Temple priest. [v] Even if he repents and his teshuva is perfect, he cannot resume his position. Now we know of course (from the Midrash) that Aaron’s participation in the Calf was a carefully calculated strategy of resistance—the lessor of evils aimed toward damage control. The masses panicked when Moshe delayed, certain that he had died on the mount. Alone in the desert without their protector the erev rav[vi] agitated the masses and pressed Aaron to fashion an idol that would draw the Shekhina into their midst as Moshe had done. [vii] Aaron knew that if he refused they would kill him, and that would be an unpardonable sin. To protect them from themselves, Aaron reluctantly agreed, placing obstacles in the path, biding time, knowing that Moshe would eventually appear. [viii] Aaron produced the idol and called for its “celebration” the following morning (a further strategical delay). Eventually Moshe arrives, smashes the idol, purges the instigators, secures God’s pardon, and the nation carries on. This narrative promoting Aaron’s innocence derives from the Midrash. The Torah itself omits these extenuating details and leaves Aaron exposed to reproach. It does not vouch for his innocence. This is how our Tradition conveys complex truths—it presents contradictory viewpoints and expects us to stretch as necessary to hold them both. There are words in the Torah that are spelled one way, but pronounced another, and both renditions are true—the ktav or written form, and the kri its spoken form. The former is more hidden; the latter is publicly proclaimed. People who are illiterate or do not have the text in front of them, would never know that the spoken word is only half the truth. Together they (the spoken and written) convey the fuzzy nature of that idea. Similarly does this play out with scripture and commentary. The Biblical text is sung aloud in synagogue and studied at home around the world—it functions as the kri or more public component of the Torah narrative. Its commentaries (stored in libraries) are more hidden, and thus parallel the ktav. A person must seek them out, which some do while others don’t. 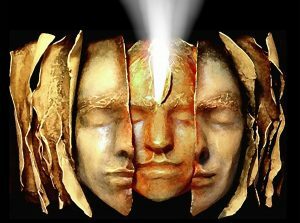 Regarding the Golden Calf, the public, spoken truth is Aaron’s guilt. That is all that’s presented in the Biblical account (and it’s all that most folks ever see). The hidden truth (buried in the Midrashic writings) proclaims Aaron’s innocence. Aaron dances back and forth between these two self-conceptions. On one hand he feels remorse for his active participation in this grave sin. He feels unworthy of serving as the nation’s exalted intercessor—the High Priest, who keeps the channels of love, grace and bounty flowing between HaShem and the Jewish people (in both directions). Yet on the other hand, he’s been chosen for that role because of the ego-death he endured. Only someone humbled in this profound way can enter the Holy of Holies. But there is a catch, which is that not everyone becomes nobly humbled by their shame. Some get overcome by self-hate and seek relief by choosing a scapegoat and dumping their shame on him/her/it. That is the mechanism that underlies causeless hatred on all scales. This is the work of our High Holy Days for, now, without a Temple, we connect to HaShem through our inner Kohen Gadol[xi] who, like Aaron, must be humble. Our job is to admit our failings and process its shame through teshuva. Our ego prefers to escape this admission-of-failure by blaming its faults on someone else (which Aaron also started to do)[xii]. But if we choose that path it will backfire, bigtime, and produce a situation where shame ends up ruling our life. The project of suppressing truth is a losing (and consuming) battle, for truth will just keep poking through until it finally prevails. Paradoxically, it’s only when we admit our guilt that HaShem responds by proffering our defense—the hidden “midrash” of our life that mitigates our culpability. HaShem can only be lenient when His reprieve won’t be interpreted as a lack of deterrence. …This is a people of no binot; therefore He who made them will not have mercy on them, and He who formed them will show them no clemency. [Isaiah 27:11]. What does it mean that they lack binot? “They won’t seize the pardon as an opportunity to change tracks and return in teshuva.”[xiv] They will squander their second chance, and just become more hardened by it. Only when we’ve accepted our blame, and been humbled by it, can our inner Kohen Gadol secure the pardon that is its prayer, and its mission. When teshuva is sincere and ego-softening, mercy is always forthcoming. That is the gift of teshuva and the mission of these High Holy times. HaShem please help us to face the bare truth of our lives, undistorted by narcissistic needs and ego defenses that we should, with compassion, recognize our strengths and our failings. And in this Elul/Tishrei time, with teshuva in the air, may we use this inventory to create a vision for the coming year that really does express the best that we can become, and instigates a potent (and humbling) teshuva that removes all obstacles to it. Blessings for a good, sweet, joyful, healthy, prosperous and life-celebrating new year. [i] The source is not at my fingertips and I could not track it down in time for this missive. But the ideas are touched upon in Leshem SheBo V’Achlama, HaDrush Olam HaTohu, 2:4:18:4 (and thereabouts). [ii] This is called kivshei d’rachmana – כבשי דרחמנא, and means the inscrutable mystery of HaShem’s design. [iii] Ari, Shaar HaGilgulim, chapt 27 (toward end). [iv] “Don’t follow after you heart and eyes that lead you astray.” [Mitzvah 387] Baal Shem Tov on Bereshit 165; Kohellet 5. [v] Shulchan Aruch, Orech Chayim, 128:37. [vi] Erev Rav is the Hebrew term for the Mixed Multitude of Egyptians that left Egypt with the Israelites, camped on their periphery, fused with the population and, by default, came to share their destiny. They are considered to be the instigators of most of the complaints and rebellions that occurred in their 40 years of desert wandering because they were still steeped in the idolatries of Egypt. [viii] LevR 10:1; Pirkey d’Rebbe Eliezer 45. [x] Proof of Aaron’s teshuva is also conveyed by secondary texts based on Lev. 10:3, “וַיִּדֹּם אַהֲרֹן… (And Aaron held his peace). The Hebrew word here for “holding peace, (i.e., staying silent)” is spelled chaser, meaning that there should be a vav between the last two letters (dalet and mem) to indicate the vowel there. But instead the vav is missing and that vowel is conveyed by a point instead of a letter. Consequently, the last to letters (now without a vav between them) spell dam (blood) and hint to the flushing of face that happens in shame. The commentaries use this as proof of the completion of Aaron’s teshuva. 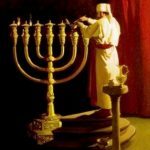 [xi] Baal HaTurim, Ex 19: 6 1? (10? ); Leshem II, 207, top. rt. Confession. Admitting that one has done wrong and specifying the affront. Regret. Expressing a heartfelt apology that is proportionate to the hurt caused by the offense. Commitment to change. Resolve not to repeat that behavior again. Securing forgiveness. We must apologize at least three times until the injured party forgives the affront. Reparation. We must compensate for damages that accrued from the offense. [xiv] כי לא עם בינות הוא, אין בם תבונה לשוב בתשובה (ע”ד ולבבו יבין ושב). Malbim there.